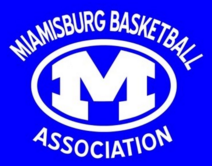 Updated Friday June 29, 2018 by Miamisburg Basketball Association. Thank you for visiting our website. Along with displaying all of our Team Schedules, Results and Standings, our website will allow us to add League News, Photo Albums and instantly report on Postponed Games.